Guy is a partner at law firm Mishcon de Reya advising on regulatory compliance, investigations and enforcement. Guy formerly headed an enforcement department within the Financial Conduct Authority where he led a number of investigations into financial services firms’ systems and controls particularly in relation to anti-money laundering and counter-terrorist financing. 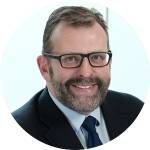 At the FCA, Guy’s responsibilities included contributing to and developing AML enforcement strategy through chairing the FCA’s cross-divisional AML working group. Guy is a member of the Law Society’s Money Laundering Task force which on behalf of the Legal Profession has recently responded to the Law Commission’s consultation on reforming the SARs regime. Guy regularly advises clients on SARs reporting and is responsible for contributing to the drafting of the NCA’s FAQs on consent SARs (DAML).